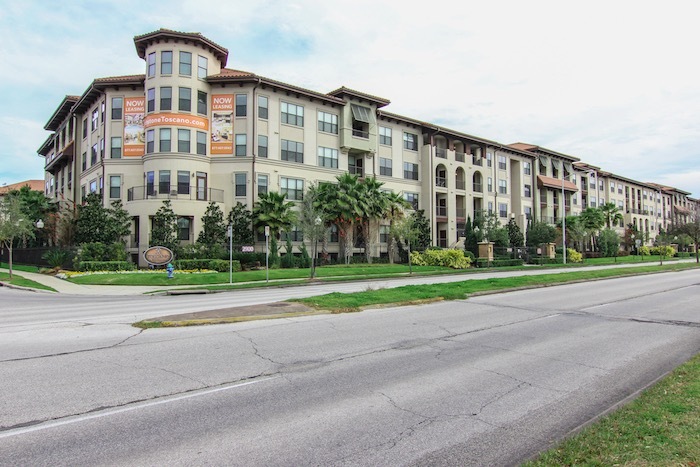 Toscano Apartments is a 828,746 square foot, multi-family home in Houston, TX that sits on a 7.76 acre lot. The property was built in 2011 and is located near Braeswood Park and Linkwood Park. Nearby schools include Rice School, St Vincent De Paul School and Beresford School. The location is very bikeable, and is convenient for most trips to local businesses. Tejas Materials provided all of the drywall for this project.